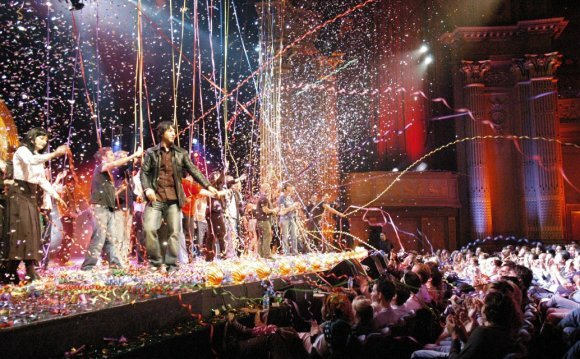 The Melbourne International Comedy Festival celebrates its 30th year in 2016. It's one of the three largest comedy festivals in the world, alongside Edinburgh Festival Fringe and Montreal's Just for Laughs Festival. The Festival was launched in 1987 by Barry Humphries and Peter Cook. Twenty-nine festivals later, with attendances of over 800, 000, it has grown to be Australia's largest cultural event - selling more tickets than any other Australian Festival. With an average ticket price of just $27, the Comedy Festival is not only a hugely popular event but an extremely accessible one. When the Melbourne Town Hall precinct is converted into a giant comedy hub, there is something for every comedy lover, from the very best local and international comedy acts in venues of all shapes and sizes. The Melbourne International Comedy Festival aims to: discover, develop and showcase great talent for the entertainment and inspiration of a broad based audience. Although the actual Festival only runs for three and a half weeks each year, the Comedy Festival is active on the comedy scene all year round. We're committed to bringing the art of comedy to as many punters as possible, while at the same time ensuring those who want to get into the game have every opportunity to develop their skills. Our annual Roadshow travels the length and breadth of the nation (and even to Singapore, Malaysia and Hong Kong) bringing Festival highlights to over 80, 000 eager comedy lovers. The increasingly popular open mic comedy competition, RAW Comedy, begins in January each year, with heats taking place in every state and territory as well as in regional centres. Class Clowns, our national secondary school comedy competition held throughout the year around the country, is proof that it's never too early to learn the comedy craft. Deadly Funny is our latest national initiative - a workshop and showcase program that is creating a whole new career path for indigenous comedians. The Melbourne International Comedy Festival organisation provides the environment and promotional activities that unite and support all events. The Comedy Festival creates and manages a large number of the venues used for the Festival, presents a program of the best contemporary comedy from overseas and produces a significant number of special events for stage and screen.